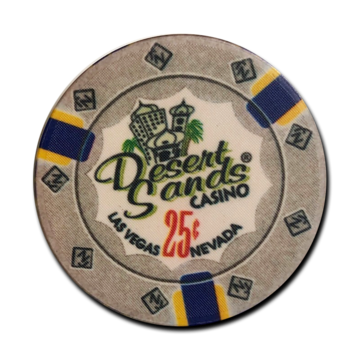 Desert Sands ceramic poker chips. 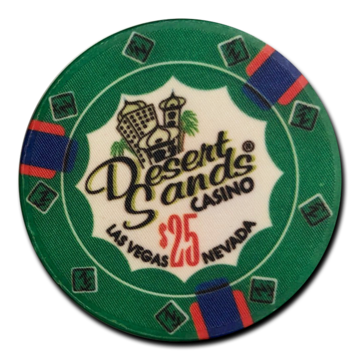 For everyone who is searching for the highest quality, the Desert Sands chips are an excellent choice. 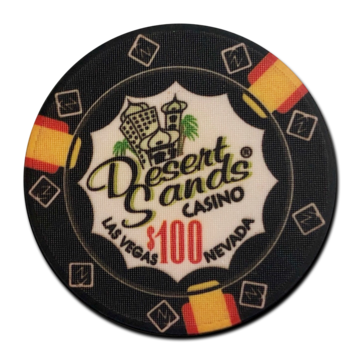 The chips are of the highest quality and have a classic design. 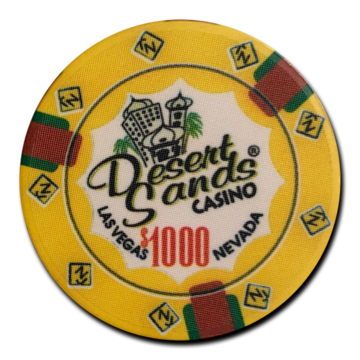 The surface of the chip has a structure so that the grip on the chips is more than excellent. This also ensures the chip stack excellently. 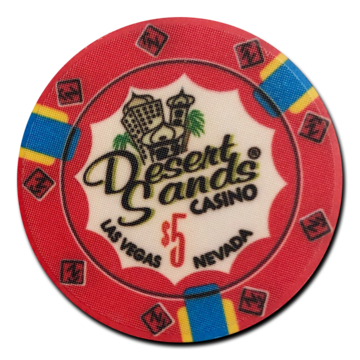 The Desert Sands poker chips are produced by Nevada Jack, known from the Nevada Jack top quality poker chip series. 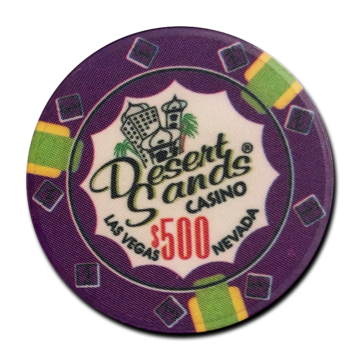 The weight of the chips is comparable with the weight of other ceramic chips, which is around 10.5 grams.